Relax and let our designers create a festive holiday setting. Commercial or Residential, we bring it to life. 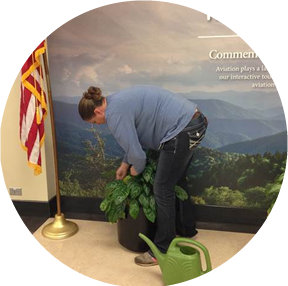 Indoor plants lower stress and enhance productivity. 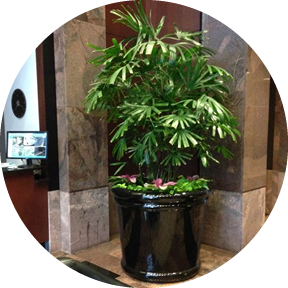 Tropical Creations has provided interior plants and interior landscape design services in North and South Carolina since 1988. Serving all points between Charlotte, NC, Asheville, NC and Spartanburg, SC with our high standard of excellence and a strong focus on client satisfaction, we have provided interior landscape design services and maintenance for both corporate and residential clients. We pay close attention to detail to create a functional and beautiful environment that is not only aesthetically pleasing, but also functional. We will work closely with you through the design process to come up with a plan for a space that will both unify and inspire. 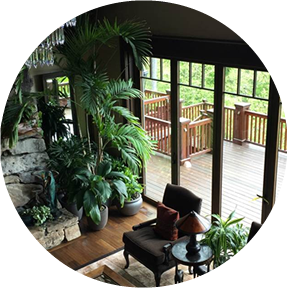 If you are looking for a professional interior landscape design service or just want to add some color or greenery to a space in your home or business, Tropical Creations can help. Give us a call or complete the Request Consultation form for a complimentary proposal.